The Staff Selection Commission (SSC) has declared the results for Combined Graduate Level (CGL) Tier II exam 2016. 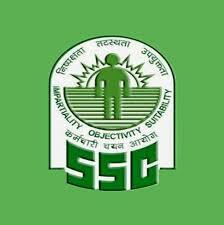 SSC has initially notified that the results will be out in the third week of February. But they have released the results on Feb 9 evening. SSC CGL 2015 TIER 2 results can be checked at the official website. SSC will also upload the final answer keys, the OMR sheets and marks on the official website on February 12 at 12 pm. In accordance with the directions of the Hon’ble Prime Minister, the commission has dispensed with interviews for the All India Competitive Exams conducted for the recruitment of various posts w.e.f. January 1, 2016. However, the notice for SSC CGL 2015 TIER 2 was given before the said decision of the government. The selection process is in an advanced state, and accordingly interviews would be held for the CGL Examination 2015.